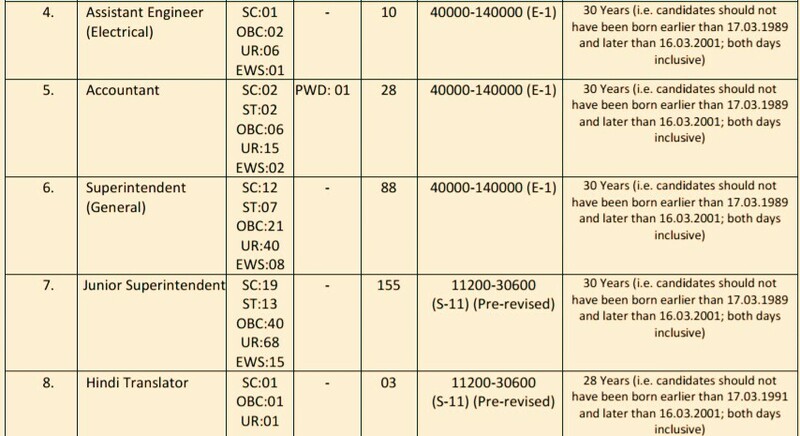 Central Warehousing Corporation, a Schedule-A Mini-Ratna, Is Appointing Eligible Indians To Various Posts, So Interested People Can Apply For This Job From 15th Of February, To 16th Of March, 2019. Do Check Out The Official Notification For Accurate Information And Instructions, It's Provided Below. A. Number Of Vacancies And Name Of The Posts (Advertisement No. CWC/1-Manpower/DR/Rectt/2019/01). Various Vacancies (Check The Image's Below For Vacancies Distribution) →571 Central Warehousing Recruitment 2019. 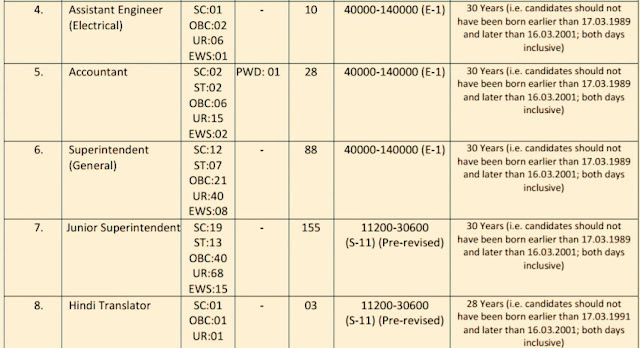 Total Number Of Vacancies →571 CEWACOR Online Vacancies 2019. (Credit -The Official Notification -Advertisement No. CWC/1-Manpower/DR/Rectt/2019/01). B. 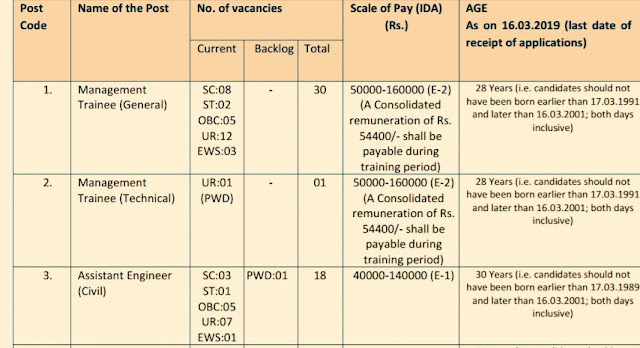 Eligible Criteria For CEWACOR Notification 2019. Educational Qualifications →Degree In Concern Discipline From Certified University/Board/Institute. Mode Of Examination/Selection Process →Written Exam/Documents Verification/Interview. Online Application/Examination Fee →₹1,000 For General/OBC And ₹300 For Other Reserved Candidates. Admit Card/Call Letter →Around 7 days before exam. For More Info →Visit Official Website Here>The Official Website. Now Apply For This Job Of Central Warehousing Corporation Limited 2019. Thanks For Supporting Us, Till Then Stay Safe And Blessed.